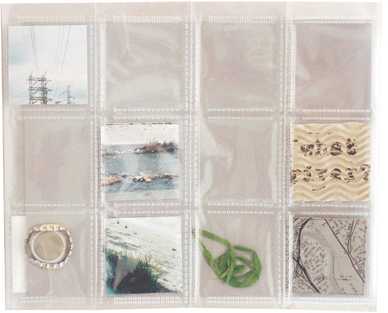 Los Angeles river book: each book cover gathers unique objects found along the waterway. To the Army Corps of Engineers, the river is a flood control facility; to the Regional Water Quality Control Board, it is a storm drain; to the LA County Transportation Commission, it is a potential freeway; to park-starved Angelenos, it is almost completely unknown… SCI-Arc Public Access Press. Multiple, printed in limited edition of 250.